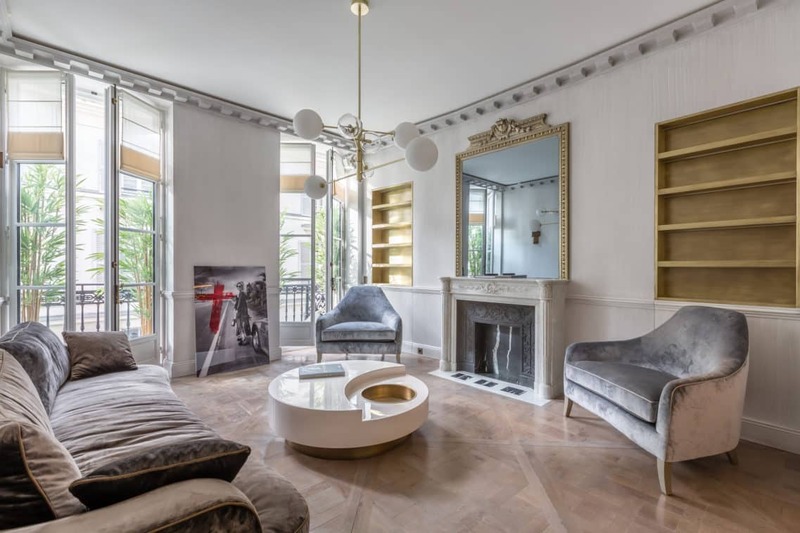 This luxurious two-bedroom, two-bath 120 m2 property has been completely redesigned and renovated by the design studio of Willy Rizzo. The legacy of the legendary photographer and designer has been continued in the present generation by his son, Willy Rizzo Jr. and the rest of family-run design team. 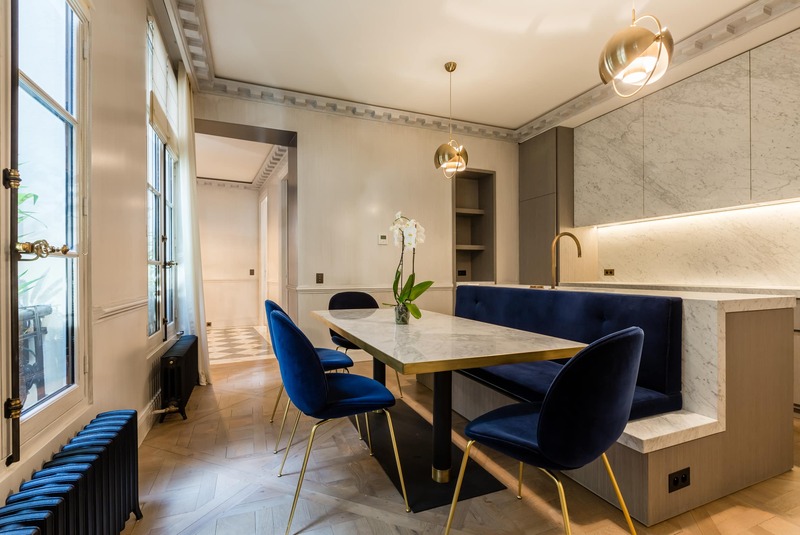 The entire space has been re-imagined, for an updated twist on an elegant and classic Parisian apartment. The moldings, fireplace, and parquet de Versailles flooring remains, but the historic wood floors have been refinished – looking equally at home in this century or the last. Additionally, a rare and custom air conditioning system, one of only 100 of this type in the world, has been added to ensure that climate controls in the residence are invisible, silent and of the highest caliber. 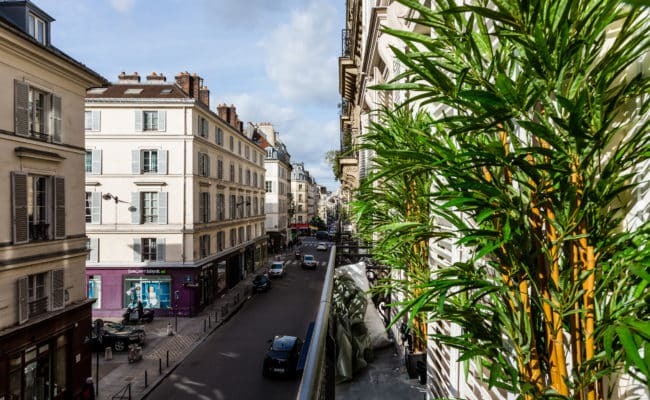 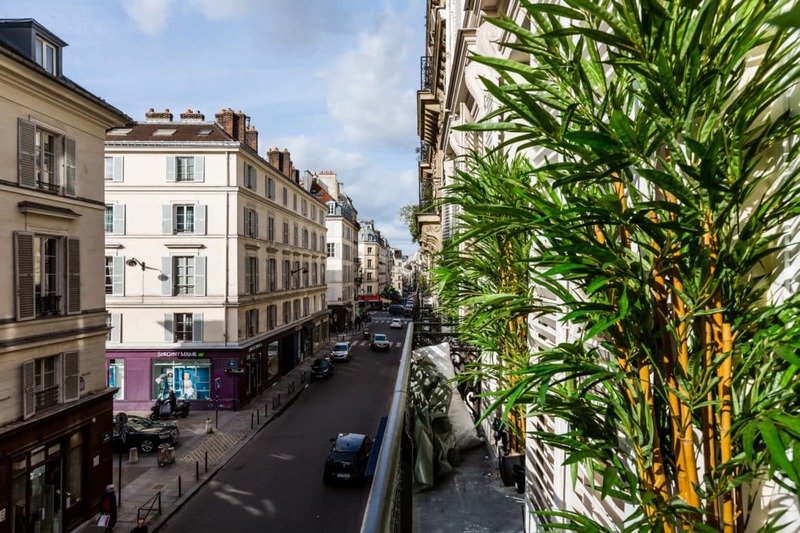 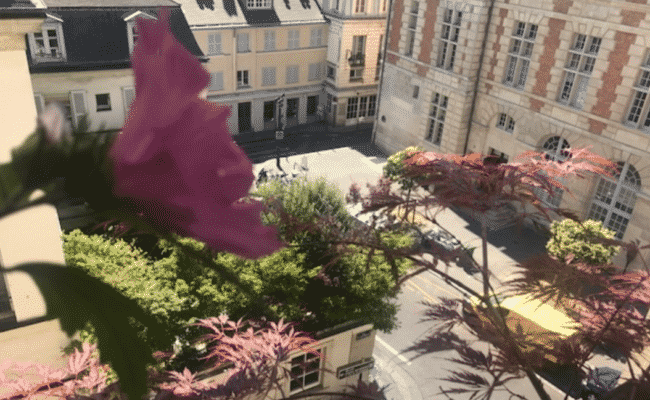 The 2nd floor residence (with elevator) has generous balconies overlooking rue de Seine, one of the best addresses in Paris. 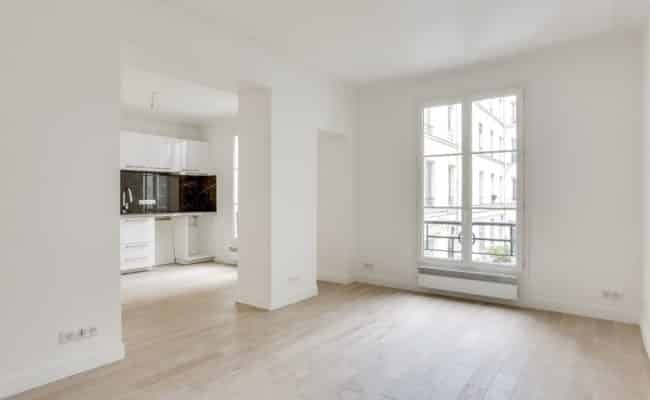 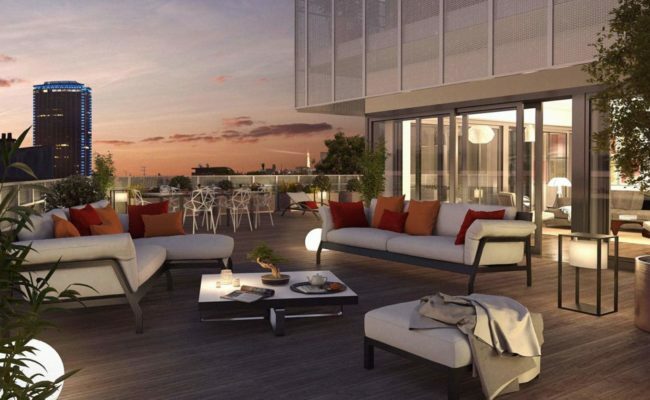 With ceilings of 3.2 m (10.5 feet) the East / West facing apartment feels bright and spacious. 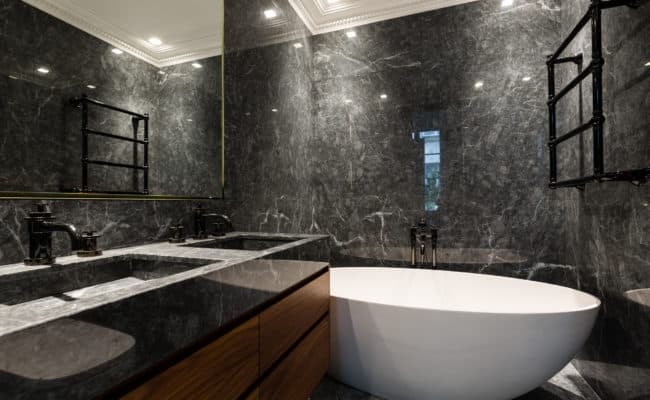 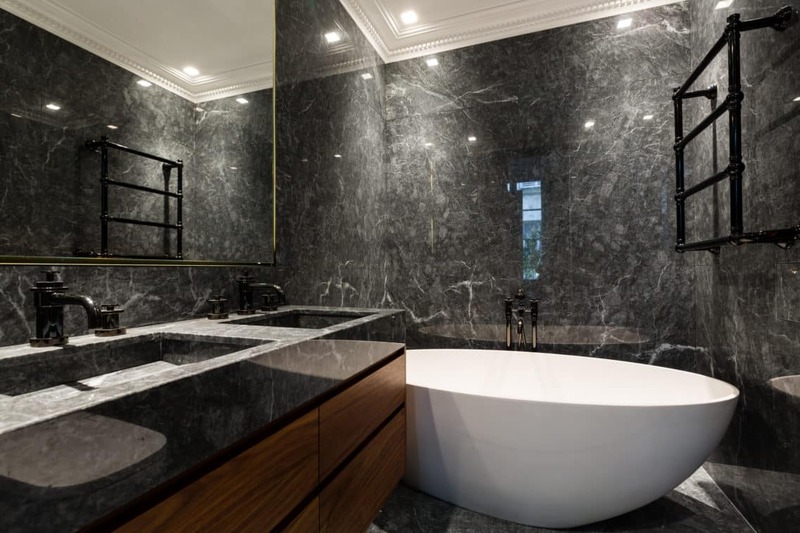 The façade of the beautiful 19th century building gives no hint of the complete restructuring inside; abundant use of marble in the bathrooms, entry and kitchen seems both luxurious and timeless. 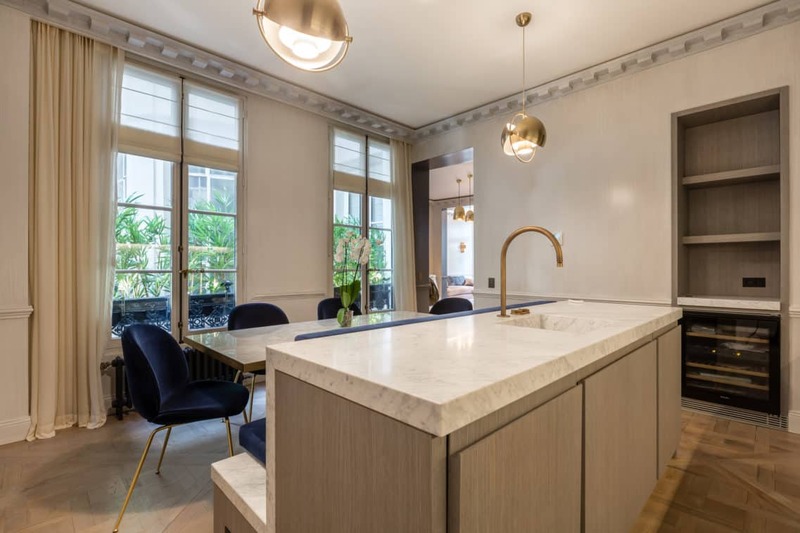 One unique element is the ingenious gravity-defying use of marble for the upper kitchen cabinet doors. 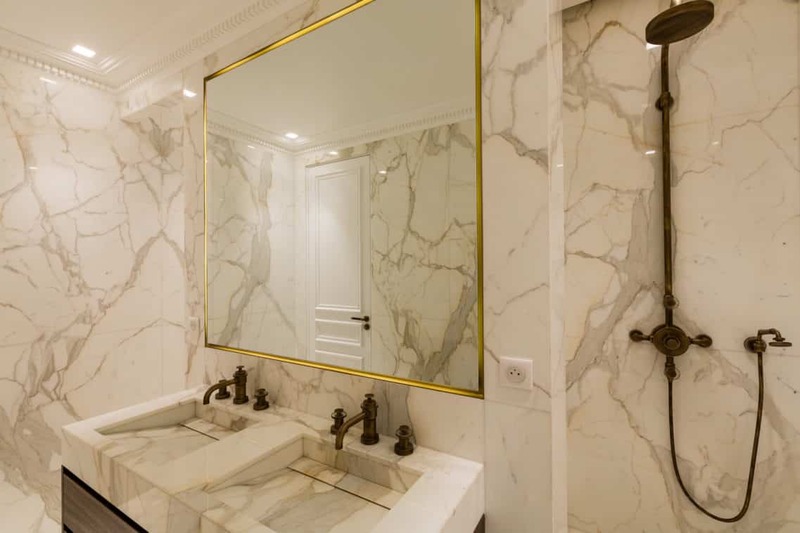 A gracious entry with marble floors opens into the spacious living room, with high end TV gracefully hidden behind the mirror on the mantel. 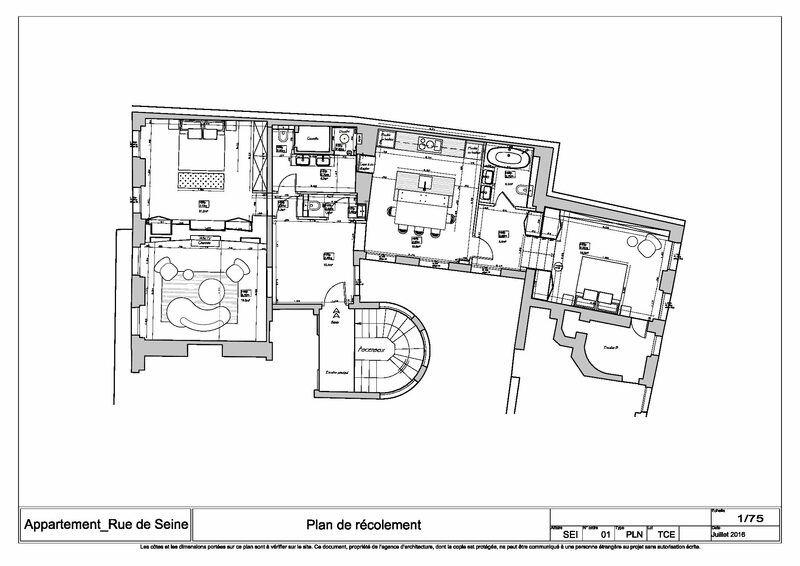 Adjacent is a sleek kitchen / dining room with built in banquet. 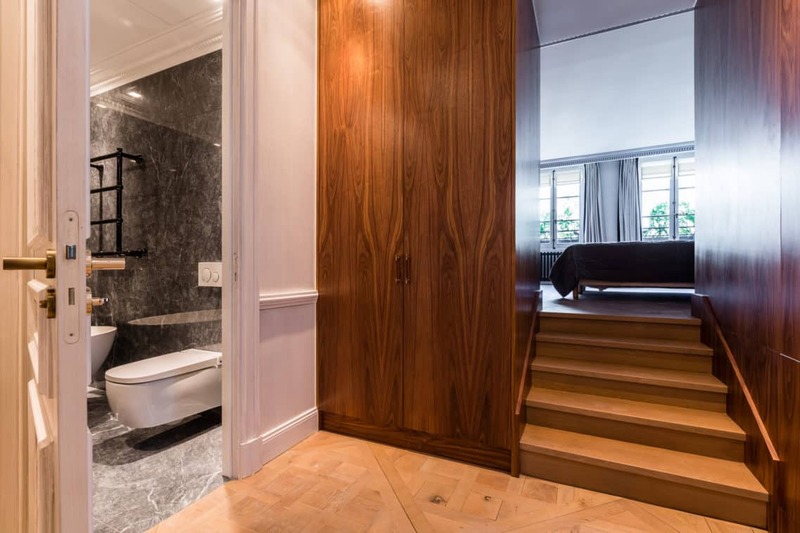 Nearby are two spacious bedrooms, each with its own en-suite bath and dressing room, and guest powder room (all with top end Japanese toilets). 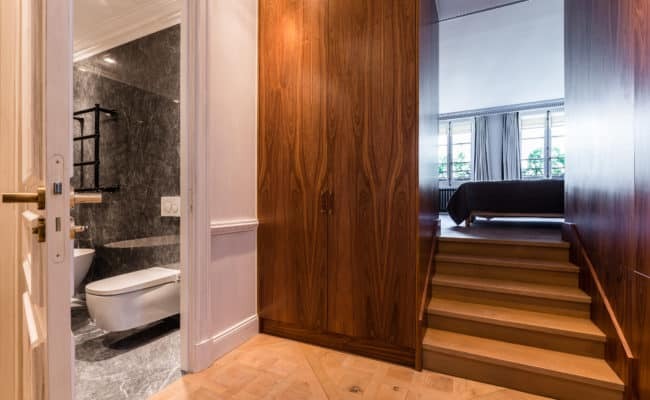 USB outlets are thoughtfully provided in nearly every room. 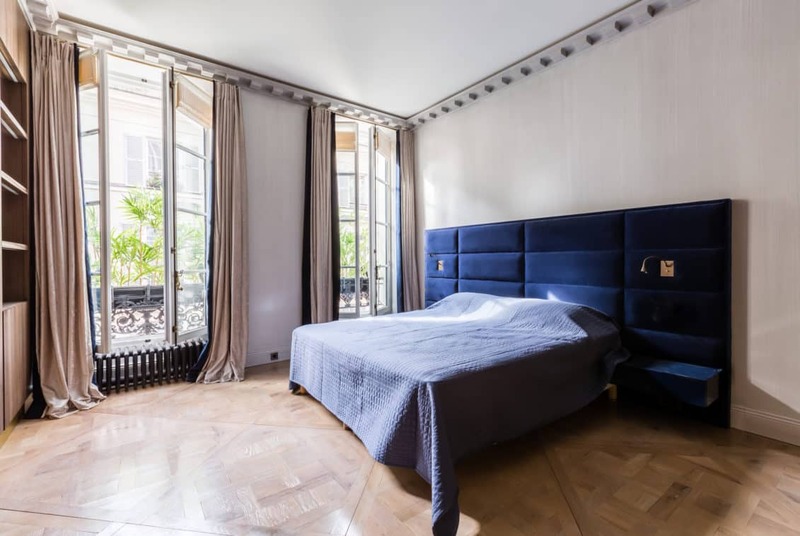 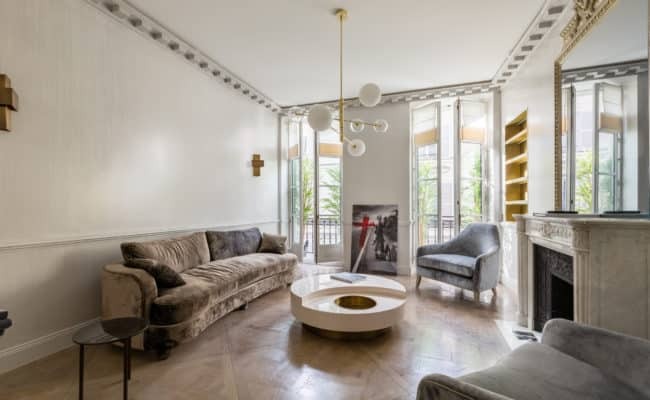 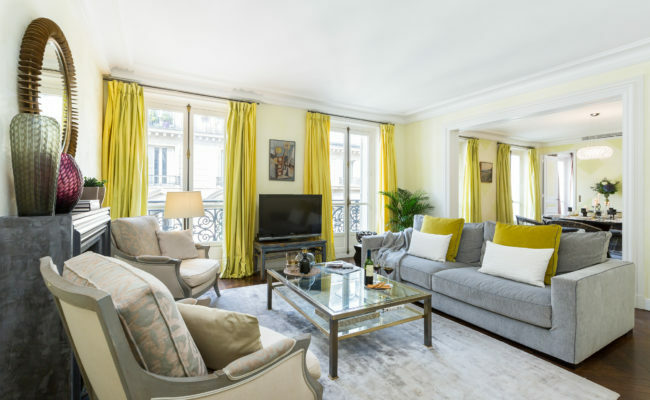 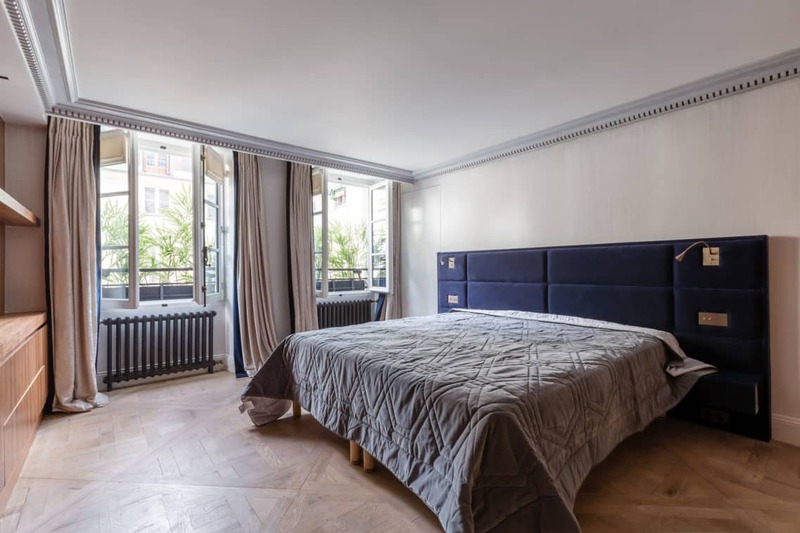 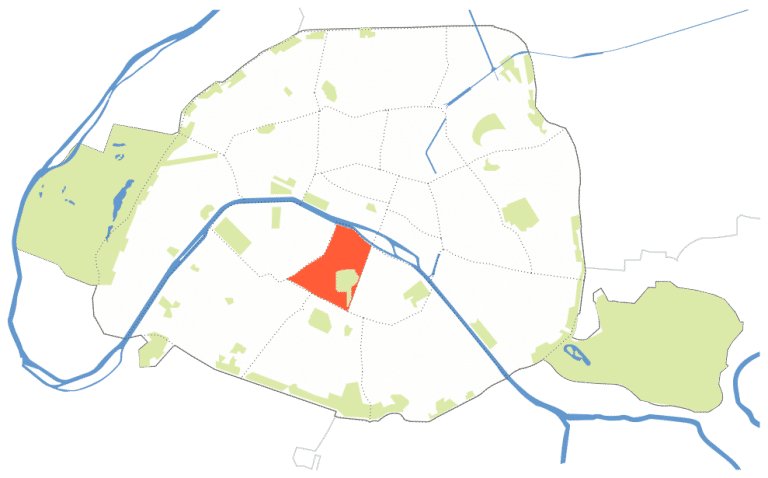 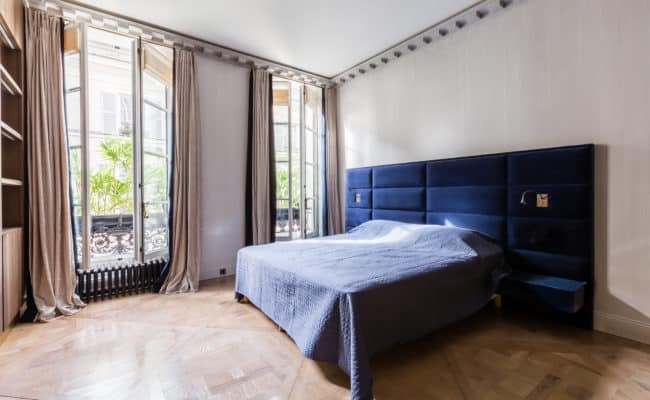 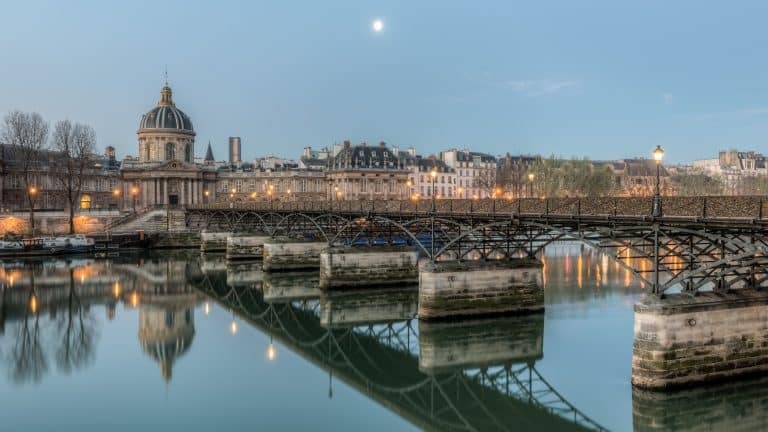 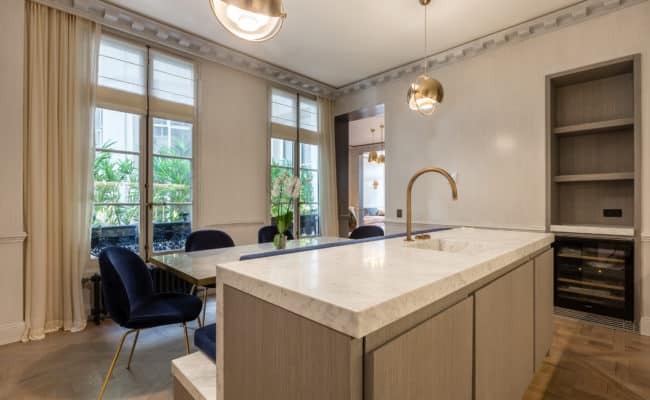 All Interior furnishings were designed by Willy Rizzo Sr. and are also included with the property, making it a stylish and turn-key property, located in the most coveted area of Paris. A storage cellar and a renovated 7 m2 studio on the 7th floor complete the property.